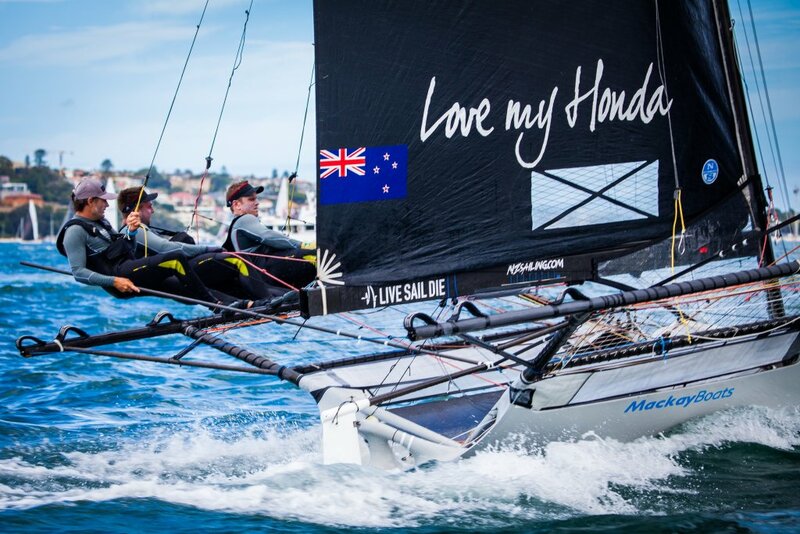 The Honda Marine team race across Sydney Harbour. Photo – Suellen Davies / Live Sail Die. A Cambridge sailor has defended the JJ Gilitan trophy in stunning fashion after claiming the win in five of nine races in the JJ Gilitan Championship last month – the “world championships” of 18-foot skiff racing. Racing across Sydney Harbour, Brad Collins and the Honda Marine team won the seven-day competition by 13 points, following on from another stellar win at last year’s competition. 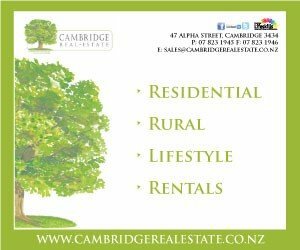 “On the back of winning in 2018 we always knew that the Australians would come back stronger,” said Brad, a former Cambridge High School student in his hey-day. 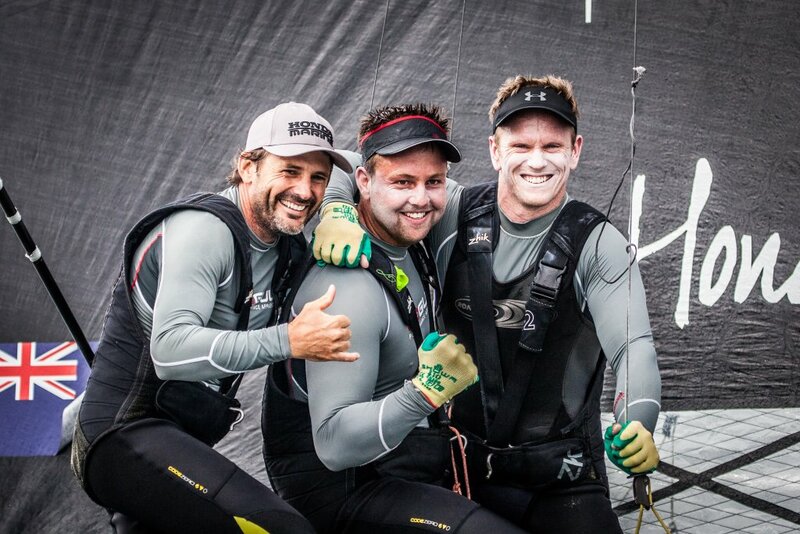 Now a bowman for the Honda Marine NZ team, Collins races out of the Royal Akarana Yacht Club with Matt Steven (mainsheet hand) and David McDiarmid (skipper). He credited the team being “solid as a rock” for their success over the rest of the field. David McDiarmid, Matthew Steven and Brad Collins of the Honda Marine team were beaming after winning the JJ Gilitan Championship. Photo – Suellen Davies / Live Sail Die. The team started out conservatively on day one, picking off rival boats one at a time in the practice race to take a commanding lead, and show that they “hadn’t come to mess around”. In race one the Australians tried to protest the Kiwi team for a perceived infringement. The protest was heard on a lay day in between racing and thrown out within minutes by an international jury. “It was all a ploy to try and rattle us and put us off our game,” Brad smirked. The tiff left the team with more determination to win, taking victory in the final race, beating out ASCC with just two legs to go on a mammoth north easterly course. “As a team we are really happy with the overall result and looking forward to competing again next year,” said Brad.